The 2018 D&I Short Course took place on the University of Wisconsin-Madison campus. The Short Course provided a forum for researchers and community stakeholders to explore the emerging field of dissemination and implementation science through the lens of health equity with national and local experts. The course included interactive sessions that navigate the steps from concept, design, adaptation, and implementation in practice. 2018 D&I Short Course Agenda (PDF). Scroll down for 2018 Short Course session handouts and videos. WE’RE ALREADY LOOKING FORWARD TO OUR NEXT SHORT COURSE IN FALL 2019! 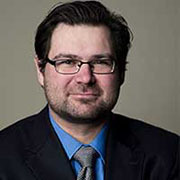 Dr. Leopoldo J. Cabassa is an Associate Professor at the Brown School of Social Work and Director of the National Institute of Mental Health (NIMH)T-32 Training Program at the Center for Mental Health Services Research at Washington University in St. Louis. He received his M.S.W and Ph. D. from Washington University in St. Louis. Prior to joining the faculty at the Brown School, he was a faculty member at the University of Southern California and at Columbia University. 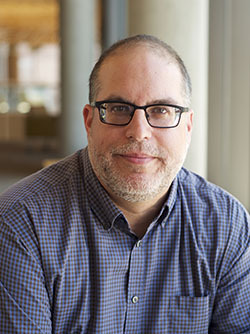 His research blends quantitative and qualitative methods, implementation science, intervention research and community engagement to examine health disparities among racial/ethnic minorities with serious mental illness (SMI; e.g., schizophrenia, bipolar disorder). His work has been supported by the National Institute of Mental Health, the Substance Abuse and Mental Health Services Administration, the Robert Wood Johnson Foundation, and the New York State Office of Mental Health. He is currently leading an R01 from NIMH testing the effectiveness and examining the implementation of a peer-led healthy lifestyle intervention (Peer GLB) in supportive housing agencies serving diverse clients with SMI who are overweight or obese. 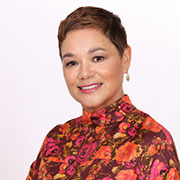 Dr. Cabassa’s work is making significant contributions in improving depression literacy and reducing stigma towards mental illness in the Hispanic community, identifying and understanding racial/ethnic health disparities in people with serious mental illness, and examining the adaptation and implementation of health interventions aimed at reducing these health inequities. He teaches graduate level courses in research and evaluation methods, foundations of social work practice, mental health policy, implementation science, and social work with Latino populations. His is a fellow of the New York Academy of Medicine and the Society for Social Work and Research and a standing member of the Health Disparities and Equity Promotion study section of the National Institutes of Health. 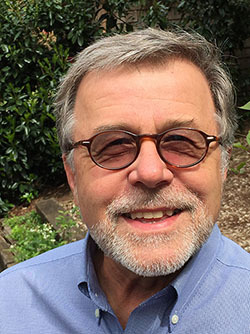 Dr. Glasgow focuses on issues of designing for implementation and sustainability, adaptations to programs, pragmatic models and measures, and the development of dissemination plans. Dr. Glasgow is a behavioral scientist who specializes in the development and evaluation of chronic illness prevention and management programs. He is Research Professor at the Department of Family Medicine, School of Medicine at the University of Colorado and Director of the Dissemination and Implementation Program of the Adult and Child Consortium for Health Outcome Research and Delivery Science there. Dr. Glasgow has 15 years of experience in implementation science and over 25 years of experience in intervention and health outcomes research. He has over 450 peer reviewed publications, most of them related to applied research issues, evaluating and enhancing generalizability of research, pragmatic approaches, and ways to enhance uptake and dissemination. Dr. Glasgow has been PI on over 25 grants from the NIH, AHRQ, CDC and the RWJF. He served as the Deputy Director of Implementation Science at the National Cancer Institute from 2010-2013 and has been a primary developer of the RE-AIM planning and evaluation framework. Sheri Johnson, Ph.D. has dedicated her 25+ year career to partnering with children, families, community organizations and systems to advance health and well-being. Awed by the resilience of individuals and communities, she is motivated to remove unfair obstacles and conditions that create and perpetuate health inequities. Dr. Johnson completed undergraduate studies at Brown University; earned an M.A. and Ph.D. in clinical psychology at Boston University and served as a Clinical Fellow in Psychology at Harvard Medical School. She was previously Director of Behavioral Health at Milwaukee Health Services, Inc., a federally qualified health center and served as the Administrator and State Health Officer for the Wisconsin Division of Public Health. Immediately prior to joining the PHI, she was Associate Professor of Pediatrics at the Medical College of Wisconsin Center for Advancement of Underserved Children where she collaborated with diverse stakeholders to address a broad range of real-world problems. Dr. Mahoney is Professor in the UW Division of Geriatrics, Director of the Community-Academic Aging Resource Network (CAARN), Director of the Wisconsin Alzheimer’s Institute (WAI), and Associate Director of the Institute for Clinical and Translational Research (ICTR) – Community-Academic Partnerships (CAP) for Implementation Science. She is also an Affiliate Faculty of the UW Institute on Aging. Dr. Mahoney received her medical degree at the University of California-San Francisco, and completed her medical residency and geriatric fellowship training at the UW. 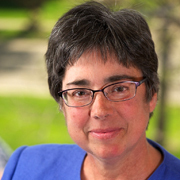 She is nationally recognized for her pioneering research in falls and novel interventions to reduce the incidence of falls in community-dwelling elderly as well as dissemination research on the ‘Stepping On’ falls prevention program which is now in use throughout Wisconsin and many states. Dr. Mahoney’s research has been supported by peer-reviewed grants from the Centers for Disease Control (CDC), NIH and AHRQ. Dr. Quanbeck is an assistant professor in the University of Wisconsin’s Department of Family Medicine and Community Health and an honorary associate of the University of Wisconsin’s Department of Industrial & Systems Engineering. In 2014, he was selected to join the National Academy of Engineering’s Frontiers of Engineering Symposium, which brings together 100 of the nation’s leading engineers between the ages of 30-45 from industry, government, and academia to discuss cutting-edge engineering research. Dr. Quanbeck’s research draws upon concepts from systems engineering in developing innovative approaches to the implementation of evidence-based practices in healthcare. His research focuses specifically on the prevention and treatment of substance use disorders in primary care settings. He is the principal investigator on two grants from the National Institute on Drug Abuse: one is an R34 clinical trial planning grant aimed at promoting the adoption of clinical guidelines for opioid prescribing in primary care. The other is a mentored research scientist career award focused on the adoption of an evidence-based mobile health technology for substance use treatment in primary care settings. He has authored 25 peer-reviewed papers. Dr. Johnson talked about the fundamentals of health equity as well as the state of health equity in Wisconsin, the social determinants of health equity, and the importance of community engagement in improving equity. Dr. Glasgow will discuss how D&I Science can help improve health equity with attention to context and the balance between adaptation and fidelity. Examples of innovative D&I design with the RE-AIM and PRISM Frameworks will be discussed. An expert panel will discuss their experience and recommendations for successful engagement with communities to design and disseminate interventions that impact health equity. Dr. Cabassa will discuss how we can address health inequities in healthcare by examining the current limitations in health disparities research and how implementation science can help overcome these limitations. He will also present examples of practical ways to integrate implementation science and health disparities research and discuss future directions in implementation science and health inequity research. Seasoned researchers will discuss current funding pathways for D&I Health Equity Research. Dr. Glasgow will discuss pragmatic research and how frameworks such as RE-AIM and PRECIS are used to accomplish its goals for health equity. Examples will be presented using each of the frameworks. Plenary 7: Bridging Implementation Science and Cultural Adaptations of Health and Mental Health Interventions. Dr. Cabassa will hone in on the process of tailoring interventions to different cultures as he defines cultural adaptation, describes common approaches, methods, and strategies and introduces ways to integrate implementation science. He will also present how he uses the collaborative intervention planning framework to adapt health interventions.